This photograph shows a local builder dangerously cutting corners with regard to the safety of his workers and people nearby. 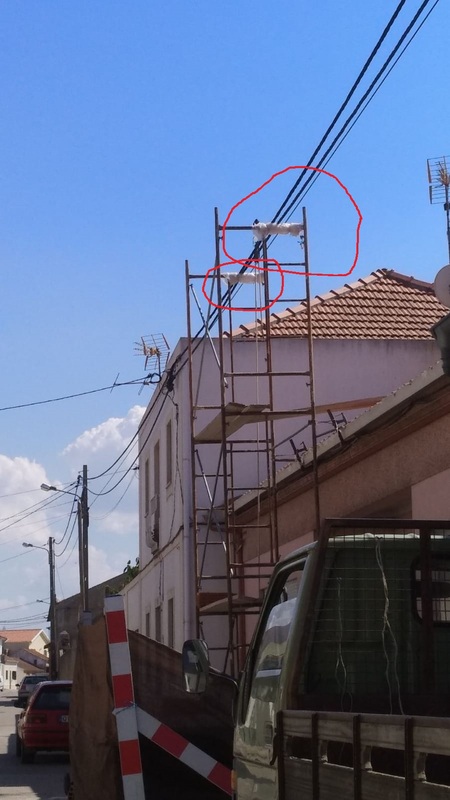 It is the type of thing we see all of the time here in Portugal but to the uninformed, it probably looks harmless enough. Let me say up front that not all builders are equal and our colleagues are both skilled and widely experienced. They are also insured to the correct level. To me, it perfectly describes the difference between what you would expect to see and experience in the UK, France or Holland and what happens in Portugal. The reason is that builders in Portugal have no official training or indeed safety training the vast majority are not insured or woefully underinsured for the cover of their workers, your family or your property. A typical young man if he can’t find anything else will end up laboring on a building site. He will be copying all the basic tasks like concreting, brickwork, rendering maybe even some carpentry. If he is no good he is sacked and moves around from job to job learning zero. The main cause of the problem and the reason why properties are badly built or badly refurbished here is that the young builder cannot easily learn the correct way to do things if his elders and people in charge are a, stupid or b, have no real understanding of what they are doing or c, educated to junior school level. Take for instance a middle-aged builder that I know. We were talking about building large retaining walls and the problem that a lot of them here end up moving or leaning out of vertical. I told him that at Castelo Construction we always use a structural engineer to design large retaining walls so that they don’t move in the future. These walls always have the weep holes near the bottom of the walls. I showed him photographs of the work we had done and some large walls which were carried out by government contractors. All with weep holes near the bottom. if you had a house built or refurbished by this builder you could be trying to claim compensation in the future. For which we offer you the very best of luck.